Outsourcing, cloud services and financial pressure are constant realities for IT leaders. Shared data centers and cloud service providers are often a good choice. If the organization’s IT demands are difficult to predict or highly variable, building additional data centers make little sense. Despite the cloud trend, managing internal data centers effectively remains an important IT responsibility. Cost optimization, vendor management and creative ways to add value are all in play for data center managers in 2016. Industry surveys suggest that data centers are under increasing pressure to deliver results. Consider the following findings from AFCOM’s 2015 State of the Data Center Survey. Gathering information from over 250 leaders, the findings provide a useful snapshot of opportunities and priorities for data center management. These findings show that data center managers are focused on making the most of their current facilitates. The survey also found a growing appetite for outsourcing data center services. The trend to cloud and SaaS services make such a move highly appealing to many organizations. Yet there are still cases where internal data centers represent a good choice. Organizational performance needs often drive the need for internal data centers. “Certain medical applications will continue to be run in-house here because low latency and high performance are absolutely vital. Lives are at stake if some of our applications fail to perform” says Shawn Arcus, enterprise data center manager at St Joseph Health Centre, an organization that runs hospitals in Texas, California, New Mexico and several other states. Cutting expenses through better data center administration is a priority for several sectors. According to the Uptime Institute’s 2015 Industry Survey, 83 percent of executives at retailers are focused on reducing IT costs. In contrast, leaders at financial firms are less focused on cost control – 39 percent of executives in that industry identify IT cost as a top priority. What are the opportunities for reducing cost at in house data centers? “Some states have deregulated electricity and that means cost reduction opportunities. When I was in Pennsylvania, I achieved a 25 percent reduction in electricity expenses by switching electricity suppliers,” Arcus adds. If alternate electricity providers are not available, utilization is another area to explore. 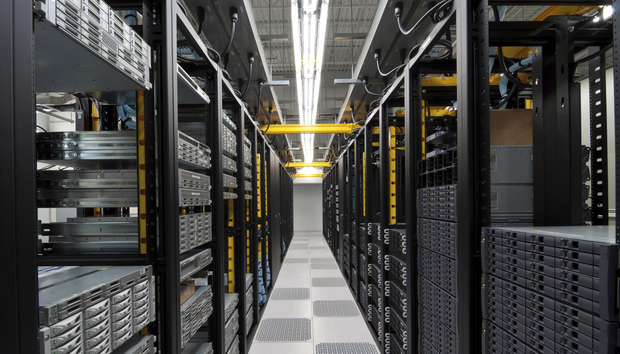 If a data center is below capacity, adjust climate control systems accordingly. “Reviewing data storage technology is another area for process improvement. Our data center currently uses data tapes. While it is a proven technology, it is inefficient to use. Cheaper and faster data storage and backup solutions are an area to be investigated,” says Janna Connor. Vendors provide several important services to internal data centers and need to be managed by an informed professional. “Six months before a vendor contract expires, I start the process to research alternatives and ways to improve the contract,” says Arcus. “Familiarity with a range of vendors gives me an opportunity to add value. For example, changing WAN service providers to a less well-known brand saved on cost with no meaningful service impact,” he added. Switching from a single vendor model to a multi-vendor model often yields improvements as well. In addition to cost considerations, vendor management is important in other ways. Client demands to improve security and efficiency drive data center service providers to improve their offerings. “Understanding vendors requires a strong understanding of invoices. A well informed data center manager is able to understand each line item on an invoice to validate whether it is correct,” Arcus explained. Data centers have historically been viewed as repositories of data and IT services – they can add value in other ways. “We have used spare capacity in our data center to test mainframe computers under consideration. That stress testing helped IT make better choices about which equipment to purchase,” says Janna Connor. “Our organization has found that an in-house data center strategy is more cost efficient and productive,” says Connor. BlueCross’s current use of in-house data centers represents a change from the early 2000s when third party providers played an important role. “From a facilities perspective, we have a great relationship with IT – they can pick up the phone and have problems addressed fast. That responsiveness is important in health care,” Connor added. “With an in-house data center, everyone is on the same page regarding the regulatory and privacy concerns in the health care field,” she says. Leasing data center capacity to another organization is another way for an internal data center to add value. “Our Texas data center has over thirty thousand square feet available which could be developed. We are exploring the possibility of leasing this capacity to another organization,” Connor says. The potential leasing arrangement would be with a single organization which would partner with BlueCross on data center design. If research and development is a priority for the organization, a specialized in house data center makes sense. In 2014, Cambridge University built the West Cambridge data center facility. The data center has delivered cost savings in the form of lower power consumption. Scientific research in chemistry, physics and other departments have increasingly decided to adopt the central data center rather than departmental resources.